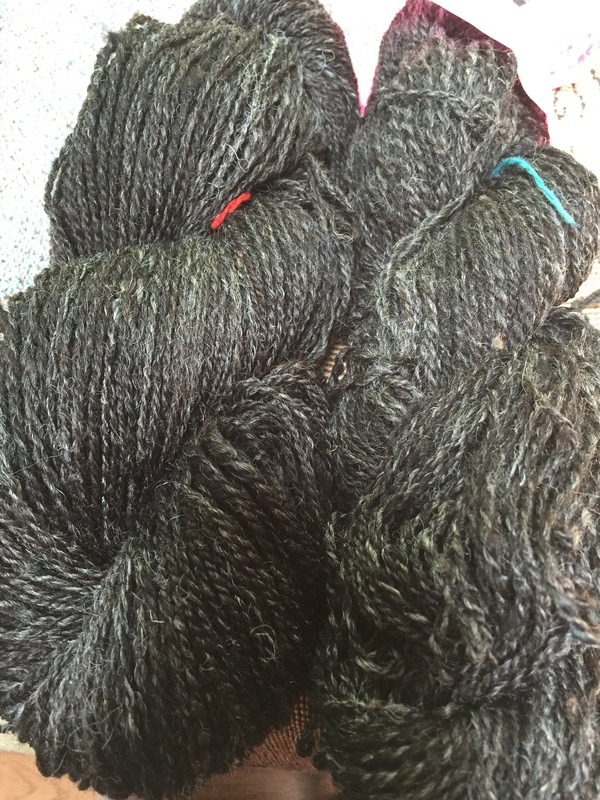 My posts have been interrupted by spinning yarn for the Tour de Fleece. The race itself has been crazy with fast racing and big crashes. I found myself treadling faster and faster as the racers neared the finish the other day. When I realized that was happening, I just had to laugh. Here’s the yarn I made during the first 4 days. I spun up the whole 271 grams I prepared ahead of time. It made 261 yards of 2-ply 22 WPI yarn. It was smooth to spin. I have a post coming on organizing my mind. Maybe this weekend I’ll get to writing that. Stay tuned.